Rome is one of those European cities where it seems that no matter how many days you spend here there is always something new to discover. 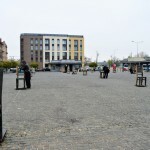 Every street presents another ruin, historic monument or religious building that leaves you in awe. 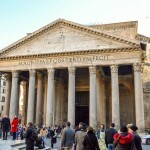 It tends to be the case that when visiting a city for the first time, hitting all the of the major tourists spots is a must and there are a lot of places to choose from when touristing in Rome. 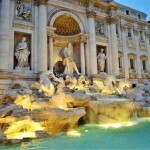 There is of course the Colosseum, the Pantheon, the Trevi Fountain, Vatican City and the Sistine Chapel. 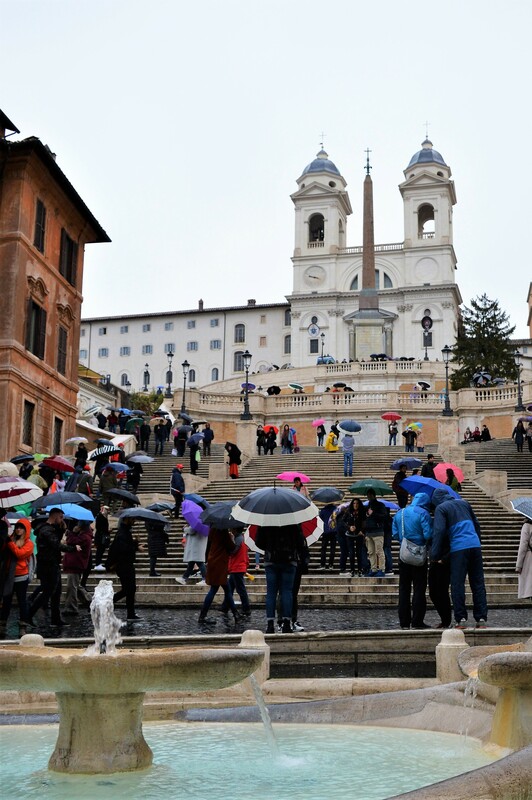 One of our favourites however are the Spanish Steps. Designed by Francesco de Sanctis, the 135 steps (we counted!) were constructed between 1723 and 1725 so at nearly 300 years old are well worth a visit if you are heading to Rome this year. 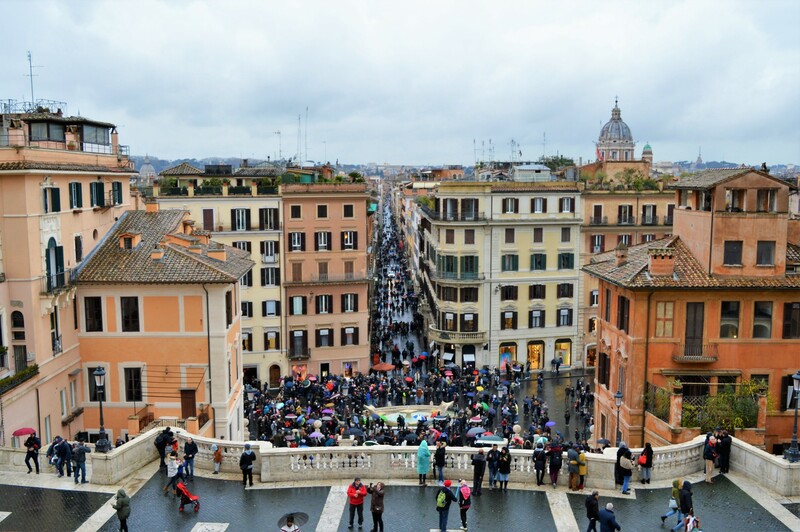 Heading to the Spanish Steps gives you 2 options. 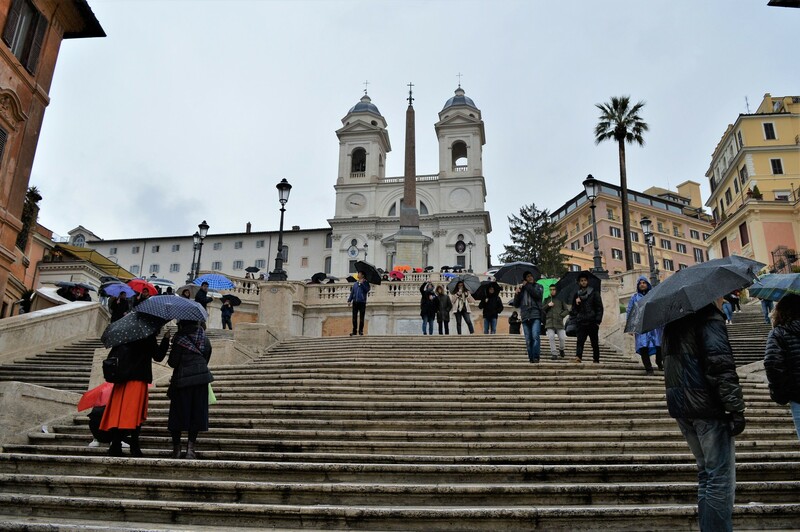 You can take a route through the streets of Rome to the bottom of the steps at Piazza di Spagna and work your way up each tier or as we did (and recommend!) head to Piazza Trinità dei Monti at the top first and make your way down the steps. Starting at the top is far less demanding on your legs than pushing yourself up the 135 steps, especially in the Italian summer heat! 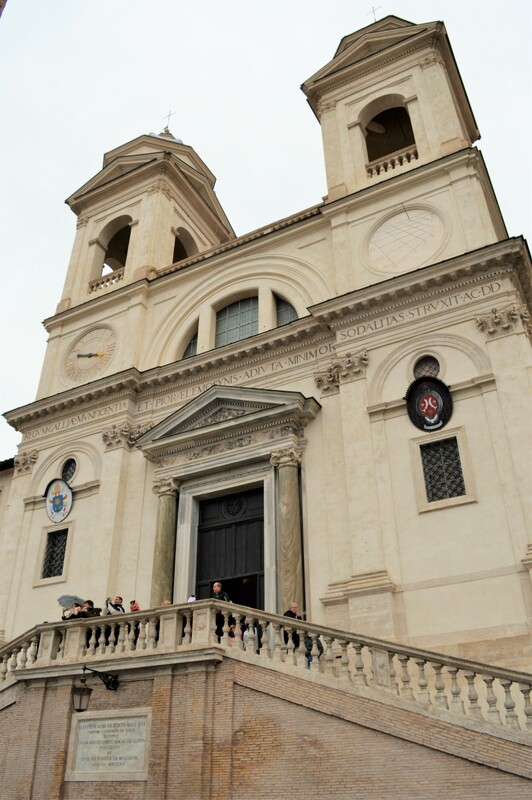 At the top of the steps where they meet the Piazza Trinità dei Montiis you will find the Trinità dei Monti, a Roman Catholic late Renaissance church. You can head into the church and explore the various alcoves that by this point of your trip to Rome won’t surprise you with how highly decorated they are. If you have walked up the steps then it’s a great way to enjoy the church whilst catching your breath on one of the pews. At the top of the hill you are looking down the Spanish Steps and across the rooftops of Rome so it’s definitely worth making your way to the top. The viewpoint offers a great view down to the streets below but it did feel like the view of the city should be better from here. From here you can start your descent down the steps. Made of stone, fairly wide and in good condition due to regular restorations the steps are an easy walk… if you can dodge the hoards of other tourists taking selfies of course! Once at the bottom of the steps at Piazza di Spagna you’ll find the location of those well know photos looking up the steps to the church with a fountain in the foreground. It’s beautiful but but warned that it is busy here! 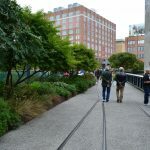 All of the coach tours drive around this spot and there are many walking tours taking place so there are a lot of people in close proximity. Keep your wits about you with a watchful eye for pickpockets. Our advice is to head here before 11am or after 3pm when the crowds have died down a little. If you can jostle your way through the crowds to the fountain however you’ll get a great shot! 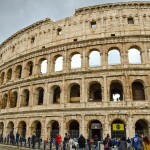 Rich in culture and with more history than you can shake a gladiatorial sword at, Rome is the perfect place to visit for a European city break and the Spanish steps are a location in the city that you simply cannot afford to miss. 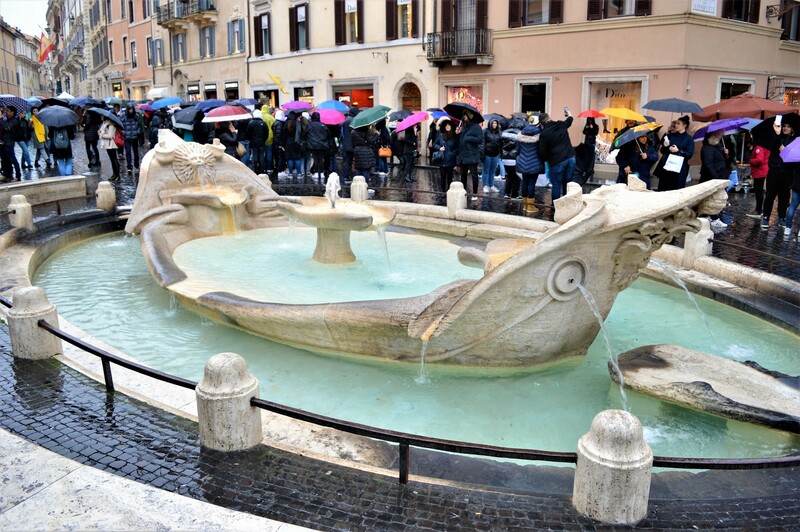 Are you heading to Rome and planning a trip to the Spanish Steps this year or have you been before? Let us know in the comments!